Buy All-in-one Brother MFC 6890cdw with CISS with CISS and make 30 times more quality prints for the same money! Pay only 0.04 USD for A-4 full color print! We would like to offer the Brother MFC-6890CDW Printer which uses the technology of inkjet piezoelectric printing, and besides, can operate as a scanner and a copier. All these functions are combined in one stylish multifunction device with a lot of specific features. This compact and ergonomic MFD can provide easy and accurate printing, copying and scanning of color documents and photos. Additionally the MFC-6890CDW Brother Printer is equipped with a memory card reader and supports PictBridge, which helps you to print high quality photos directly from a memory card or a digital camera. Due to its desktop design and compact size, which is 390 x 180 x 375 mm, this multifunctional device can operate in the offices short of free space. The Brother printer MFC-6890CDW is a modern multipurpose digital device based on the inkjet technology. This MFD similar to another Brother representative MFC-J6710DW, can print not only from the memory card installed into the card reader, but either from the USB flash driver. Besides, it can scan and save files on appropriate storage appliances. The main advantage of the MFD is its fast printing with maximum resolution of 1200 x 6000 dpi. Thereat, the device printing rate is 30 pages per minute in one-color mode and 25 pages per minute in multicolor one. Additionally, the multifunctional printer as well as MFC-5890CN Brother MFP, can operate as a digital copier and a flatbed color scanner. 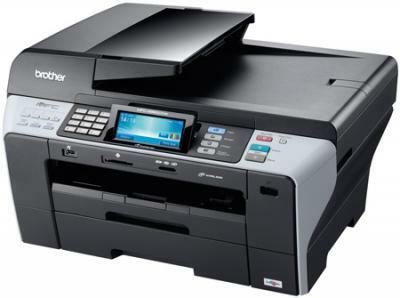 The Brother printers MFC-6890CDW have some outstanding features. First of all, it has 32 MB direct access memory. Besides it is equipped with a standard paper tray, which can contain up to 100 paper sheets, and an automatic document feeder (ADF), which supplies paper from a separate tray designed for 15 sheets. By means of the original FaceFilter softwear, an operator can make some image corrections, for example, improve skin tone, delete skin defects, adjust red-eyes, in order to get an excellent picture every time. Direct communication with potential Customers at tehno-markets in such cities as New York, Chicago, Los Angeles, Boston, Philadelphia proves, that a lot of people want to have not only a black-and-white printer at home, but a multi-purpose device with wide capacities in one fashionable case, and even more, some of them dream about a home photo studio. 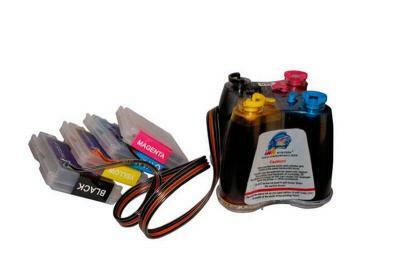 The original ink cartridges provided with the Brother MFC-6890CDW wireless inkjet all-in-one printer, have a special design, which helps you to replace only that very separate ink container whose ink is over, without touching other colors. Due to this feature, the new four-cartridge models will save you a lot of time, money and nerves. To sum up, we sould mention some extra peculiarities of the device. To provide high image quality, the device uses PictBridge and PhotoCapture Centre, as well as an image editor. It can print directly from such memory cards as Memory Stick, Memory Stick Duo, Memory Stick Pro, SD, xD-Picture. These memory cards can also be used for scanning and saving obtained images on them. Besides, the device can be operated from a computer or a laptop through the USB interface. Recommended Paper Brands	Brother Inkjet Plain Paper (BP60PL), Brother Matte Inkjet Paper (BP60ML), Brother Ledger Plain Inkjet Paper (BPPLGR), Innobellaв„ў Ledger Glossy Paper (BP71GLGR), Innobellaв„ў Glossy 8.5" x 11" Photo Paper (BP71GLTR); Innobellaв„ў Glossy 4" x 6" Photo Paper (BP71GP20), and 3M 3410 Transparency Film. Minimum Paper Width/Length (Paper Tray)	(Tray 1) 3.5"/5.0", (Tray 2) 8.5"/11"
Sheet Weight - Paper Tray (max/min)	(Tray 1) 17-28 lbs. (Tray 2) 17-58 lbs. Max Input of ADF (Width/Height)	Ledger 11" x 17"
Carton Dimensions (W"xD"xH")	25.8" x 23.5" x 18.1"
Carton Weight (lbs)	49.1 lbs. Unit Dimensions (W"xD"xH")	21.3" x 19.2" x 12.7"
Unit Weight (lbs)	34.4 lbs.